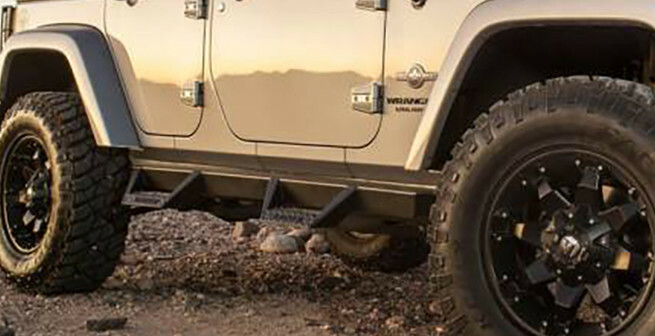 Westin's HDX Drop Nerf Step Bars feature a notched bar design that provides strong traction with over 2 inches of toe/heel step area giving Jeep owners the rugged look, function and advantages they need. Sometimes you need an extra step getting into your vehicle. Attention To Detail has a wide selection of running boards, nerf bars, and power steps for Jeeps. Whether you are looking for a rugged Nerf Step Bar for your off-road vehicle or power side step, we have what you need as well as the team to install it.